Fun Things To Do In Oahu - Tours and Activities! Top Fun Things to do in Oahu, Hawaii - Tours and Activities! Here are fun things to do in Oahu, Hawaii! There are numerous ways to explore this fantastic island from a flight aboard a seaplane or helicopter to a jeep safari tour of the North Shore to hiking in the Ko’olau Mountain Range you will find the ideal tour that fits your budget. You can explore the Pacific Ocean at such places as Kane’ohe Bay where you can kayak, snorkel or sail on a catamaran and absorb the gorgeous tropical scenery of Chinaman’s Hat Island, Ala Moana Beach and numerous waterfalls like Sacred Falls. Whatever puts a smile on your face from cultural events to historical sites to exploring the Pacific Ocean, there is a perfect excursion for you when you visit Oahu and its many best Oahu activities and tours. Some people may never leave Oahu because of the amount of exploration that can be done, but other people want to see all of Hawaii before they leave. If you are one these people then the thing to do in Oahu is to take a day trip to other Hawaii islands by air. You can easily take a short flight to one of the neighboring islands like Maui, Kauai, Molokai or the Big Island where you can start a whole new adventure for the day. 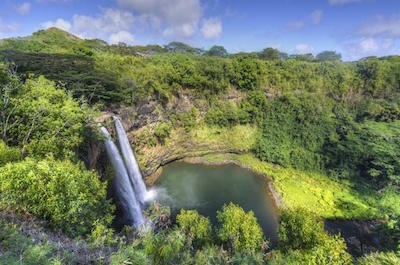 You will experience something different on each island such as viewing the Hawaii Volcanoes National Park on the Big Island to Waimea Canyon, which is considered to be the Grand Canyon of the Pacific on Kauai to the beautiful Iao Valley on Maui. Day trips to other Hawaii islands by air are among the coolest things to do in Oahu. They will last a whole day and the memories of flying over the islands to exciting new spots will be etched in your mind forever. 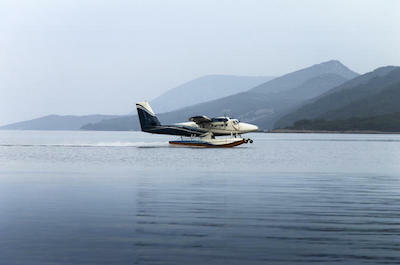 One of the top things to do in Oahu is for you to take a sea plane tour over the sights of the island. You will be thoroughly pleased with a sea plane tour as you soar high above the tropical landscape in a 6-passenger DeHavilland Beaver aircraft. One of the best adrenaline rushes you might experience in life is lifting off from Honolulu Harbor as the planes pontoons gracefully leave the waters of the Pacific Ocean. Once in the air the vantage points of viewing the natural wonders like Diamond, Chinaman’s Hat Island, the Banzai Pipeline and the beautiful Sacred Falls which is a 1,000-foot cascading waterfall. The natural world below is dotted with white sand beaches like Sunset, Waikiki, Kane’ohe Bay and Waimea Bay. You will be thrilled at seeing the Aloha Tower as well as historic Honolulu City from a far different view than from the ground. Sea plane tours range from 30 to 60-minutes and when your plane touches down on the Pacific Ocean at landing your heart as well as soul will admire the lasting memories. You too can feel like Magnum PI or a movie star as you fly through the air while taking a helicopter tour. 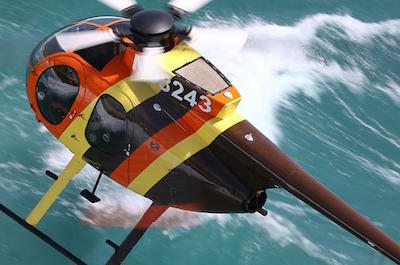 Helicopter tours are the perfect thing to do in Oahu because you have a superb vantage point to see the incredible scenery and beaches that drape the island of Oahu . Helicopter tours are also a lot of fun giving your body a nice adrenaline rush as you take off into the blue skies of Hawaii or perhaps right before sunset. Whether you want the doors on or off the helicopter you can take breathtaking photographs of the interesting attractions you fly over like the Sacred Falls, Diamond Head, Banzai Pipeline and the numerous undulating hills of the Hawaiian landscape. Helicopter tours also give you flexibility by allowing you to fly from 20 to 60-minutes and from lifting off from places like Waikiki, Honolulu and Turtle Beach on the North Shore. The incredible views you will have while flying in a helicopter tour will please many if not all of your senses of adventure. For most people seeing Pearl Harbor is a must thing to do in Oahu and for other people cruises and boat tours please their fancy of adventure. There are a variety of cruise and boat tours which range from sailing on a catamaran to a power boat to a fantastic glass bottom catamaran which allows for excellent viewing of the underwater marine life of the Pacific Ocean. You will see an enormous amount of interesting scenery such as dolphins, whales, tropical fish, sea turtles and the views of the shoreline are incredible. You will admire the unobstructed views of Diamond Head, the Ko’olau Mountain Range, Ala Moana Beach, Chinaman’s Hat Island and Kane’ohe Bay. When you are one a cruise and boat tour you have the luxury of sitting back and relaxing while your captain as well as trained crew tell stories of the Pacific Ocean. You can also add more things to do in Oahu to your cruise and boat tour by going snorkeling or combining your water cruise with a short bike ride onshore. Whatever you choose the blue waters of the Pacific Ocean will leave you enchanted. If you love nature and enjoy viewing animals in their own habitat, then the best thing to do in Oahu for you is to go dolphin and whale watching. You will adore dolphin and whale watching tours that will allow you to view these magnificent sea animals in the blue waters of the Pacific Ocean. You have a variety of choices when you decide to take a dolphin and whale watching tour from a half or full-day excursion on a power boat, yacht or catamaran. On your dolphin and whale watching tour you can go with a trained marine biologist or you can sit back and enjoy the ride while your captain explains interesting facts about the surrounding marine life that lives in the Pacific Ocean. You can include lunch, snorkeling and even a sunset cruise when you take a dolphin and whale watching tour. And let’s not forget there is a tremendous amount of other spectacular marine life to see from the colorful tropical fish to sea turtles. 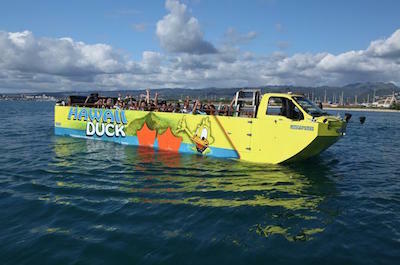 When you are searching for things to do in Oahu and want to experience one of the more unique travel options on the island, then you should try a Duck tour. Duck tours are a fascinating way to go sightseeing because the amphibious duck vehicle is an open-air wonder of the world. You can watch the blue skies of Hawaii as well as have an unobstructed view of the beautiful scenery, historic buildings and the people watching while you travel through Chinatown is fantastic on the duck tour. You will be able to see outstanding sites such as Pearl Harbor, the Aloha Tower, ‘Iolani Place and the big bronze statue of King Kamehameha I. Another benefit of taking a duck tour is the versatility of the amphibious vehicle as you power through Honolulu Harbor and circle Sand Island. Once in the harbor you will have gorgeous views as well as numerous photograph opportunities of Honolulu and Diamond Head from the Pacific Ocean. 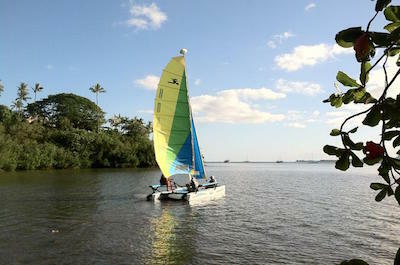 You will set sail from beautiful areas like Kewalo-Kakaako, Ko Olina Marina and Waikiki Beach. As you sail you will be thrilled with the views from the Pacific Ocean of places such as Kane’ohe Bay, Ala Moana Beach and Kepoikai as well as having a unique vantage to see Diamond Head tower over the urban landscape of Waikiki and Honolulu City. Sailing trips are a great way for families to enjoy a half or full-day on the water while letting the captain and crew take care of all your needs. An added bonus when you go on a sailing trip is that most offer you an opportunity to snorkel and you will watch interesting marine life swimming around and next to your boat. No matter whether you are looking for a party, nature or you just want to lounge on the deck you will be thrilled with a sailing trip adventure on the blue waters of the Pacific Ocean. If you are not much into swimming, snorkeling or scuba diving and you still want to view the magical underwater world of the Pacific Ocean, then a submarine tour is the ideal thing to do in Oahu. 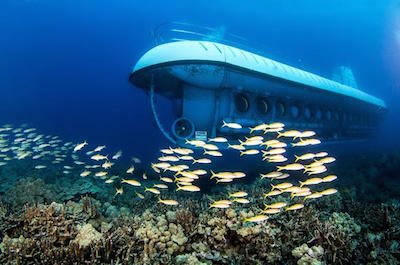 Submarine tours are interesting and once you board the state-of-the-art underwater viewing submarine you will have an incredible view as you watch seat turtles, sharks and the thousands of colorful fish swim by your window. You will dive to depths of 100-feet all the while listening to interesting stories of shipwrecks and the biological web of life that is formed by the numerous underwater creatures. Submarine tours can also be combined with other fantastic things to do in Oahu like a sunset dinner or a helicopter flight and a great way for families to enjoy the incredible marine life that exists in the Pacific Ocean. When you visit Hawaii one of the more romantic and fun things do in Oahu is to view the sunset. Sunset cruises are perfect for that evening of lounging on a boat where you can have a couple of your favorite cocktails while you watch the blue skies of Hawaii change into a mural of colorful pastels. Sunset cruise have a variety of atmosphere that range from a spirited party to a quite cocktail lounge to a romantic five-course French style dinner. You can enjoy watching the tropical landscape from a different vantage point as the shadows from the rock formations and tropical plants form incredible shapes for you to gaze upon. And let’s not forget the gorgeous skyline of Waikiki and Honolulu when the lights of the city glow in the distance and sparkle of the waters of the Pacific Ocean. Cultural tours on the island of Oahu are presented in many different forms and are a perfect thing to do in Oahu which will give insight on the Hawaiian people. Cultural tours range from an entertaining luau where you will learn about Polynesian cuisine, watch traditional hula dancers and you can even learn the importance of an outrigger canoe. 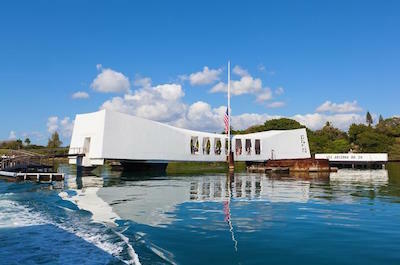 Other cultural tours of interest will take you through the various memorials in Pearl Harbor as well as view intriguing sites of debauchery like the brothels, tattoo parlors and bars where the service men of World War II passed their time. Cultural tours can take you to the Dole Plantation where you can see how plantation owners and Christians integrated with the local Hawaiians as well as important ancient sites of the Hawaiians like heiaus which are Hawaiian temples to their various gods. Cultural things to do in Oahu are ideal for families who like to hear and learn about the different cultures that truly make up the population as well as traditions of Oahu . With the rise in popularity of the Walking Dead, ghost and vampire tours have quickly become a very fashionable thing to do in Oahu . The ghost and vampire tours in Oahu are a fascinating look into the paranormal world of Hawaii which has haunted people from the past to present. You will hear ghoulish stories from the most intriguing of story tellers there are in Hawaii. You can travel by foot or by minivan to view these haunted areas of Hawaii which include the Chinese Manoa Cemetery, specific haunted buildings in the historic district of Honolulu City and Morgan’s Corner. You will be thrilled with ghostly tales that are presented during your ghost and vampire tour as well as having a chance to view some spectacular scenery in a whole new context. Historical and Heritage tours are a very popular thing to do in Oahu for you when you visit this spectacular island and most are family-friendly as well as packed with interesting information. You can visit some of the most fascinating places while you are on Oahu which include historical and heritage tours of Pearl Harbor, the National Cemetery of the Pacific or Punchbowl, historic architecture of Honolulu City and significant ancient cultural sites of the Hawaiian people. Most of the historical and heritage tours that pass through Pearl Harbor include a short drive through the historical district in Honolulu City where you will view the most important buildings and statues of Oahu . You can decide on taking a small, medium or large group sized tour or you can even take a private chauffeur. 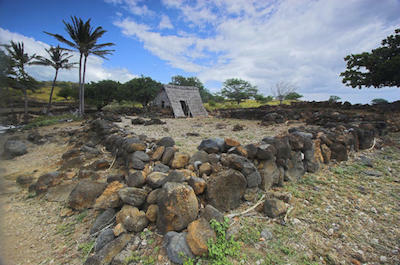 You can choose to take a historical and heritage tour of the ancient sites which takes you around the island while viewing important rock formations, petroglyphs and heiau’s as well as ancient fishponds. You will be pleased by the selection of interesting historical and heritage things to do in Oahu you can participate in when you are here. If you are movie buff or like to watch television then a movie and television tour is a fantastic thing to do in Oahu for you. You can experience many different scenarios while on a movie and television tour in Oahu and you will be amazed at the beautiful scenery these places boast. You can visit Ka’a’awa Valley where portions of the hit television series Hawaii Five-O have been filmed or you can choose from a variety of activities from horseback riding to ATV’s to a themed train ride at the Kualoa Ranch where such blockbuster movies like Jurassic Park and Godzilla were filmed. There is a wide variety of transportation options from riding in Humvee to an open-air bus to riding a mountain bike. 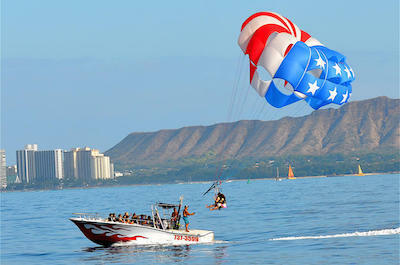 You can also combine an assortment of things to do in Oahu or purchase a full experience pass at specific locations. No matter what you choose you will love the scenery and the idea of being on the same location as the movie stars. If you consider yourself a Foodie or someone who can cook in the kitchen then a must thing to do in Oahu is participate in a food tour. You will be pleased with the various agendas of food tastings that food tours supply while you visit Oahu . Food tours range from 1 to 3 hours depending on the number of sampling stops and restaurants you will enter. Food tours provide you with a unique sampling of the culture that has inspired numerous chefs in Hawaii and around the world. You can go on a food tour of Chinatown, the bustling Ala Moana Marketplace and you can even peddle around on a food tour that takes you to the base of Diamond Head where you will sample neighborhood cuisine in Kapahulu, that is one of the top tours in Oahu. And if you like sweets, there is even a food tour that allows you to create your chocolate bar by combining a variety of flavors. 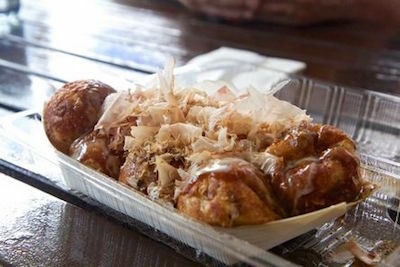 So when you are hungry for spam musubi, a Vietnamese French Dip or a Japanese dumpling called takoyaki then book yourself a fascinating food tour in Oahu . When you are looking for entertainment when visiting Hawaii you will be happy with the numerous things to do in Oahu that include luaus, shows, concerts and sports. 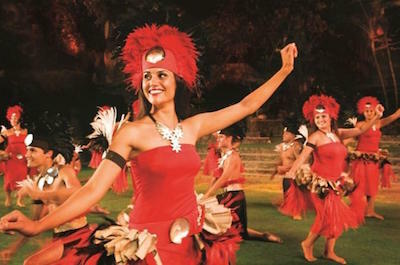 You can experience numerous luaus which highlight great Polynesian cuisine, cooking techniques and history which are accompanied with a variety of hula dances. You can choose from a daytime luau where you visit a replica of a Polynesian village which is complete with artisans making hand crafted items or you can attend a stunning sunset luau on the beach where you can watch the stunning blue skies over Hawaii turn into a magnificent show of colors. There are magic shows, a tribute band to the Beetles and canoe races for you watch as well as special concerts within Royal Hawaiian Center. You will enjoy a wide variety of luaus, shows, concerts and sports while you visit Oahu as well as indulge in a cultural experience of joy. Each option has its own unique feel and the upbeat atmosphere will leave you smiling. By far one of the most exciting things to do in Oahu is to go on a 4WD, ATV and Off-Road tour which will take you deep into the tropical landscape and far away beaches. You will be happy with your choice of a 4WD, ATV and Off-Road tour for many reasons including the ruggedness of the vehicles, the superb scenery and the comradery you will feel with your expert guide. There are a variety of vehicles to choose from on your 4WD, ATV and Off-Road tour which include dune buggies, ATVS, jeeps, Humvees and Ford F-150 Raptor pickup trucks. 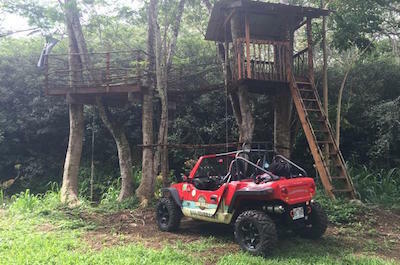 During your 4WD, ATV and Off-Road tour you will view incredible scenery like the Kualoa Ranch where the movie Jurassic Park was filmed, fabulous beaches like Makapu Beach and the jagged cliffs along the eastern coastline of Ka Iwi. Other exciting places include the North Shore beaches near the town of Haleiwa, Laniakea Beach and the Halonoa Blowhole are just added samples of the natural wonders you will encounter on your 4WD, ATV and Off-Road tour. Most tours last a full-day and some include a combination of things to do in Oahu like horseback riding and snorkeling opportunities. If you are looking for an adrenaline rush of a lifetime then the thing to do in Oahu is to go shark diving. Your 2-hour excursion begins when you meet the captain and qualified diving crew at the Haleiwa Small Boat Harbor located along the North Shore of Oahu . Here you will board watercraft vessel and travel 3-miles to where you will have a chance in a lifetime to go shark diving. 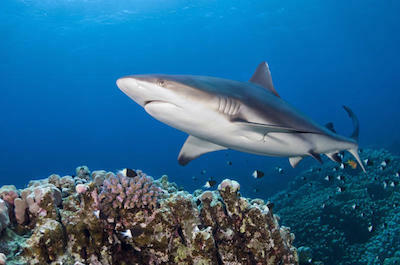 Once at your destination you will receive safety instructions and an orientation about the various species of sharks you will encounter which include gray reef sharks, Galapagos sharks, sandbar sharks and even hammerhead sharks. These magnificent sea creatures will range in size from 5 to 15-feet in length. After your orientation you will put on your mask and snorkeling equipment and enter a secure shark cage. The shark cage can fit 2 to 8 people depending on the ocean conditions and once lowered into the clear blue water of the Pacific Ocean you will have visibility up to 200-feet all around you. You will spend 20-minutes in the secure shark cage viewing the various species of sharks as they swim close to the cage out of curiosity. You will not believe the adrenaline rush as the sharks swim towards the cage and many people are amazed at the security of the cage. On your boat ride back to the Haleiwa Small Boat Harbor your heart will still be thumping from the excitement of seeing these marvelous sea creatures. Your shark diving tour concludes when you disembark the water vessel. Eco Adventures are one of the fastest growing segments of travel tours and are also one of the best things to do in Oahu when you visit the island. Eco Adventures are superb for many reasons including viewing natural wonders, wildlife and experiencing the serenity of a peaceful environment. 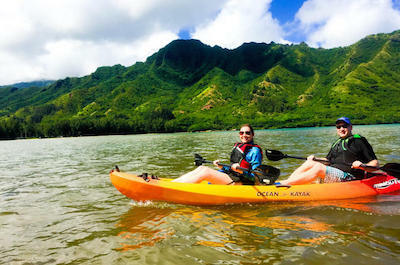 Eco Adventures also come in many different packages from taking a jeep safari tour to hiking Diamond Head to kayaking and snorkeling in Kaneohe Bay. 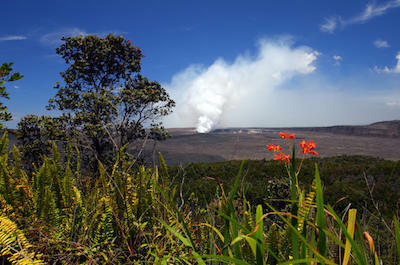 You can venture off of Oahu to the Kilauea and see the majestic volcanoes that spit lava on a daily basis or you can take a leisurely hike through Waimea Valley and visit several historic sites. Other Eco Adventures might include an outrigger canoe ride or even learning how to meditate at the Byodo-In Temple. No matter which Eco Adventure you decide to take you will enjoy the beautiful natural scenery as well as the unique places you will explore. 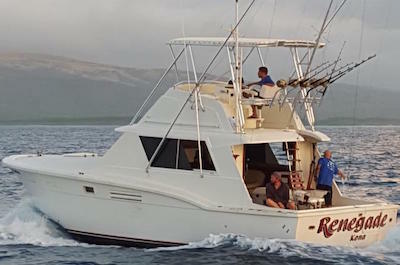 Hawaii and the Pacific Ocean boast some of the best deep sea fishing, charters and tours for things to do in Oahu for individuals and families. Deep sea fishing, charters and tours are an ideal way to spend a half or full-day on the water as your expert captain and guides will show you all the techniques you need to reel in that big fish of the day. You can choose a lively party atmosphere on a boat or a calm more relaxed adventure as you seek to catch that monster which will give you fishing stories to tell for a lifetime. The blue waters of the Pacific Ocean are home to the powerful blue marlin, mahi mahi and native Hawaiian fish such as ono, uku as well as opakapaka. 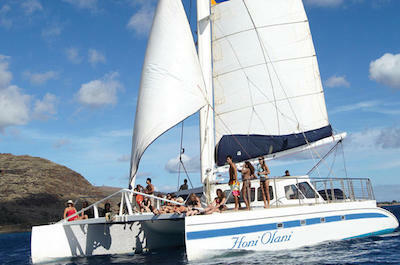 You will explore fascinating places like Kewalo Basin, Kan’eohe Bay as well as the open waters of the Pacific Ocean. Another added bonus to taking a fishing, charter or tour is the wonderful marine life you will view while fishing which include dolphins, humpback whales and sea turtles. Some of the most popular things to in Oahu are hiking trips that allow you to get in touch with nature and view the beautiful natural sites that Hawaii has to offer visitors. There are numerous hiking trips you can take while on Oahu and visit spectacular places like Diamond Head, the Waimea Valley and even a sunrise hike to the Pillbox on the southern portion of the island. Hiking trips will take you to the Manoa Waterfall, through the east side at Koko Head Crater and Hawaii Kai as well as the Ko’olau Mountain Range. Another exciting aspect of many hiking trips is that you can combine many activities such as snorkeling or a bike ride to make for the perfect day outdoors with the family. Whether you are an experienced hiker or just a beginner there are plenty of options for you to get out explore Oahu by foot while you take numerous photographs of the beautiful scenery you will witness first hand. 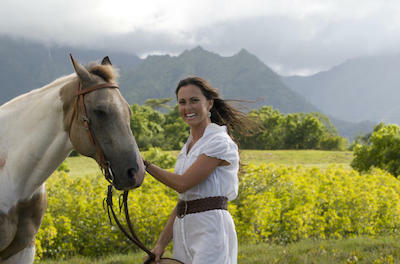 A fantastic thing to do in Oahu is to enjoy a spectacular horseback riding tour through the Ka’a’awa Valley. You will experience the excitement of being in the reigns and on top of a magnificent animal as you ride through the tropical landscape viewing incredible scenery. Horseback riding tours are the ideal way to view the iconic Kualoa Ranch where such movies as Godzilla and the famous Jurassic Park where filmed. You will feel in touch with nature as you ride your horse through pastures of farm animals and fields of pineapples as well as other various fruits. Horseback riding tours are a great way to combine several things to do in Oahu together such as a drive along the North Shore coastline or even a zipline adventure and you can accomplish this all in one day. Don’t miss your chance to go horseback riding in one of the best places in the world to put you in touch with your wild side. There are plenty of things to do in Oahu that involve Nature and Wildlife tours and no matter which tour you decide upon taking, the beautiful scenery as well as wildlife will please your senses. 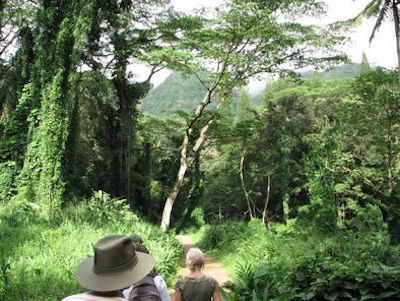 Nature and Wildlife tours come in all shape and sizes from half-day excursions at the Sea Life Park to full-day explorations of the Manoa Valley rainforest as well as several stunning waterfalls such as Waimea Falls or Manoa Falls. You may decide to go snorkeling with a qualified marine biologist who will explain the amazing marine life which includes animals like sea turtles, dolphins and hundreds of tropical fish. There are a number of ways you can travel on nature and wildlife tours from a safari jeep to a minibus to an electric bicycle. You can explore the beaches on the North Shore, East Side and all places in between when you take a nature and wildlife tour. There are even unique night tours that take you to the reefs which are illuminated in the evening by natural forces. Hawaii is the perfect place to take an adventure and there is no better way than by participating in a nature and wildlife tour. If you like exercise combined with natural scenery and history then the thing do in Oahu for you is to join a running tour. Running tours are an ideal way to go sightseeing while you get your daily workout. 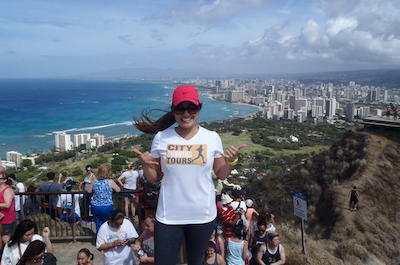 You will enjoy places such as Diamond Head, Koko Head Crater and downtown Honolulu City as your group runs comfortably in tandem. Most running tours last 2-hours and include rest stops where you can shoot a photograph or replenish liquids in your body. Running tours are also great for viewing the sunrise or sunset and you can even add a yoga class to put your spiritual mind in the right place. Running tours are the perfect way to keep you in shape for all of your other adventures when you visit Hawaii. Zipline Tours are a perfect thing to do in Oahu that will put you high above the tropical canopy and give your body a rush of adrenaline as you soar through the trees. You can experience a zipline tour at the fabulous Kualoa Ranch there are some 14 different ziplines you can try and you are sure to be pleased while flying over the magnificent scenery where the movie Jurassic Park was filmed. You can take a zipline tour on the North Shore where at Klana Farms you can glide 500-feet on the longest zipline in Hawaii and here you can rappel as well as walk across four sky bridges. When you take a zipline tour you can include other fascinating adventures like a ride on an ATV through the jungle or even a tour of a working plantation. 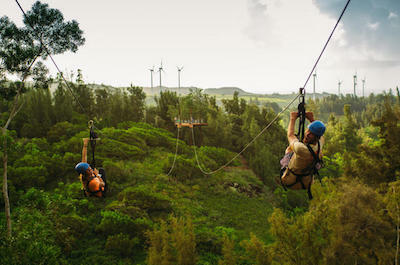 Zipline tours allow you to explore nature from a different angle and are sure to put a smile on your face. 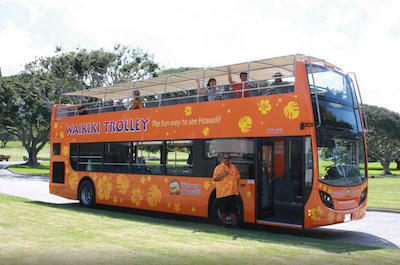 If walking, biking or riding a Segway is not in your plans and you want a relaxing trip to several locations on Oahu, then a good thing to do in Oahu is to participate in a Bus and Minivan Tour. Bus and motor coach tours are ideal for groups and a minivan tour offers the small group experience while you while explore the island. The bus and minivan tours are a great way to view such sites as Pearl Harbor with its numerous museums and memorials like the USS Arizona, USS Missouri and the Pacific Aviation Museum. You will have the opportunity to visit iconic places like the ‘Iolani Palace, Chinatown and even Sacred Hawaiian sites such as the home of the Fire Goddess Pele. Another bonus of taking a bus and minivan tour is a drive through historic Honolulu City as well as the serene Punchbowl which is home to the National Cemetery of the Pacific. Most tours are over 5-hours and offer good value for you money. 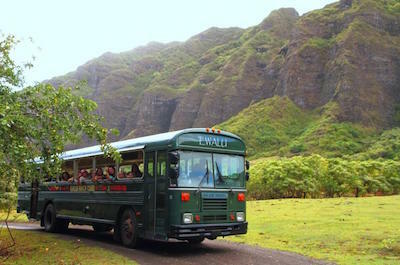 Whether you are a first time visitor or have visited Hawaii in the past, one of the smartest things to do in Oahu is to buy a pass on the Hop-on Hop-off Tours. The Hop-on Hop-off tours are an ideal way for you to get accustomed to all the various sites on Oahu with five different routes run every day that combine for 30 stops. Stops include beaches such as Hanauma Bay, the Duke Kahanamoku Statue, Waikiki Aquarium and Chinatown with numerous others to choose from as you tour the city and the coastline on the various routes. You will be pleased sitting in an open-air trolley or double-decker bus while you listen to interesting commentary from the guide on each route. Another added bonus is that you can purchase a multi-day pass and each pass is good for all five routes. One thing for sure is that the Hop-on Hop-off tour is one of the best things to do in Oahu going for those that like to venture on their own with a little guidance from the professionals. If you love the night and scary stories then you should definitely think about trying a night tour for one thing to do in Oahu. Night tours are specifically designed to bring the haunting spirits to life as you listen to ghostly tales of the past and present by a wonderful story telling guide. 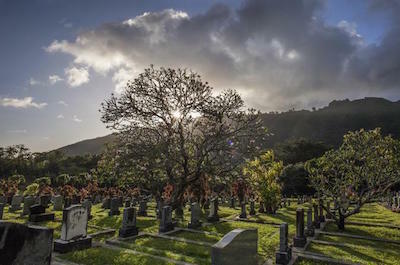 You will visit places such as the Chinese Manoa Cemetery where you will walk amongst the tombstone as the moon glows and gaze over the cliffs at Pali Lookout where you will listen to the screams of the ancient warriors who jumped off the steep cliffs. Other night tours include historic and cultural aspects where you will learn of the spirits and gods that move the Hawaiian people. You don’t even have to wait for a full moon to enjoy one of these frightening night tours which are filled with interesting and ghoulishly good information. You will be pleased to know that photography tours are a popular thing to do in Oahu whether you are a beginning or professional photographer. Photography tours on Oahu are filled with many aspects that bring a heighten sense of your surrounding area. The beautiful lush tropical landscape is perfect for shooting hundreds of photographs in places like the Ko’olau Mountains and Pali Lookout or you can visit such natural wonders as Diamond Head Crater as well as Halona Blowhole. Other dynamite tours will take you in the morning to the east side of Oahu where you can view and take photographs of the most stunning sunrises. 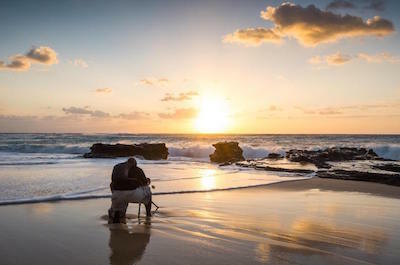 You have a lot of options with photography tours on Oahu and let’s not forget the gorgeous sunsets you will see while taking a fabulous photography tour. We know that every tour can be a photographers heaven but these specially designed photography tours give you enough time to get just the right shot before moving on to the next incredible spot. 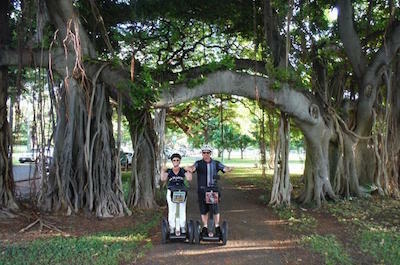 Segway tours are an amazing form of transportation that allows you to cover more area when you want to combine many things to do in Oahu in one day. You can glide on a Segway tour which will take you to the most important cultural and historic spots such as the Aloha Tower, ‘Iolani Palace as well as the King Kamehameha I Statue. You can ride through Duke Kahanumoku Beach while you admire the beautiful colors of an amazing sunset or you can glide around Kapiolani Park on your way to Queen’s Surf Beach where you can gaze at the Pacific Ocean. Whether you are 15 or 65 years old you will enjoy the thrill of navigating a Segway on one of the many fascinating tours you can take while you are on Oahu . When you are on vacation and enjoy a little exercise then walking tours are a great thing to do in Oahu. Walking tours can include natural wonders, historic sites, architecture and even a bar crawl. You have a wide choice of excursions from taking an adventure to Diamond Head Crater, walking to the Manoa Waterfall in a small group, feasting on island culinary delights and you can even take a walking tour of the most frightening spots in Honolulu. 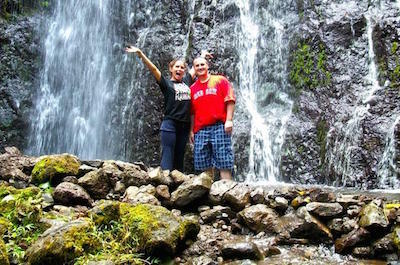 Walking tours that are some of the most popular tours in Oahu are an ideal way to learn about the culture and history of a city and its inhabitants. 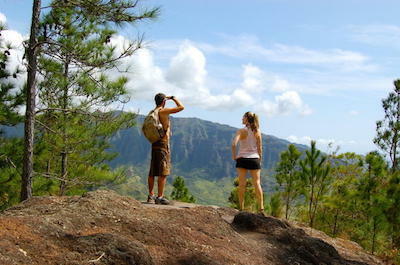 On Oahu there is a wide variety of walking tours for you to take pleasure in while you feel good about the exercise. 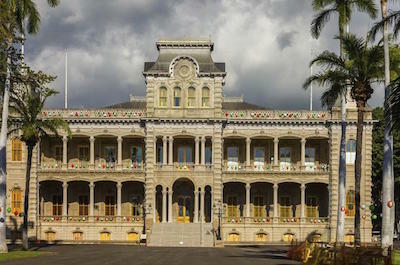 Some of the best walking tours in Oahu include a trip around Pearl Harbor and the memorials, follow the path of the Royal Monarchs to Ho’okipa and you can gaze upon the architecture of the ‘Ilolani Palace. All you need is shoes and some energy to make any or all of these walking tours into lasting memories of your vacation in Hawaii. 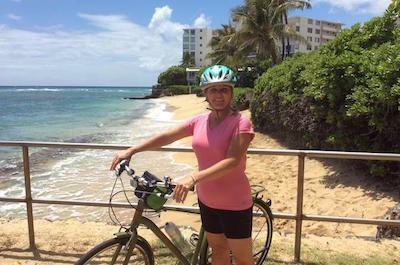 If you are an outdoor enthusiast who like to ride bikes in all kinds of terrain then the one thing to do in Oahu is to take an adventurous ride on a bike tour. Whether you like city riding or tearing down the side of a mountain or riding through the rainforest, you will find the perfect match for your wants and skill level. You can take a ride through historical Honolulu and view the historic sites or you can ride through Chinatown while sampling food along the way. You can even just rent a bike and go it on your own. If you feel real adventurous and want to explore even more then combine a biking tour with snorkeling as well as sailing. From biking in the Kaaawa Valley to gliding along the North Shore while viewing white sand beaches to a lazy ride in Kapolani Park there is sure to be an excursion that is just right. A Submarine Scooter tour in the Pacific Ocean is a unique thing to do in Oahu while you are visiting. Your 2-hour Submarine Scooter Tour has several departure times and begins when you meet your guide on Keahole Street in Honolulu where you will be transported to a 50-foot powered catamaran. 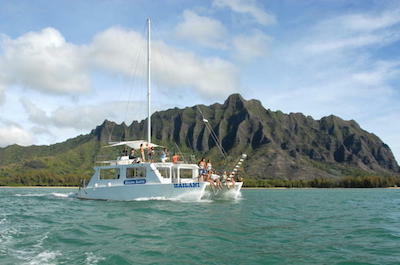 Once on board you will travel through Maunalua Bay while you watch the beautiful scenery of Diamond Head Crater, the Koo’lau Mountain Range and Koko Crater in the distance. 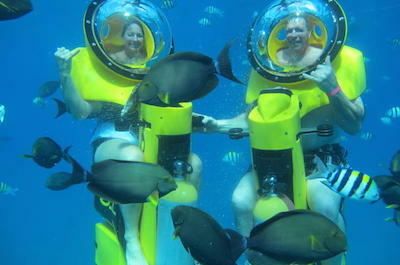 When you reach your dive site you will receive safety instructions on to how to use your underwater self-propelled Submarine Scooter which is equipped with a helmet and oxygen that allows you to breathe freely while underwater. After you enter the Pacific Ocean you will be astonished by the colorful marine life that is swimming all around you as you power glide through the crystal-clear water. You will swim with sea turtles, dolphins and other tropical fish which light up the water with brilliant colors. When you are finished there might even be time for you to snorkel before setting back to the harbor. Your Scooter Scuba Tour concludes when you the reach the harbor and are transported to Keahole Street. Many people travel to Hawaii just for the opportunity to go kayaking and canoeing on the Pacific Ocean as well as the inland rivers. If you have always wanted to go kayaking and canoeing then this is a great thing to do in Oahu while you visit. You can experience fabulous times when you are kayaking and canoeing at such incredible places as Kailua Bay, Mokulua Islands and Kane’ohe Bay where you can travel to Coconut Island or even Sand Island. You have plenty of choices for excursions that range from an outrigger canoe trip off of Waikiki Beach to a private rainforest kayak trip to an exhilarating tour which combines hiking, biking and kayaking. If you like to explore on your own there are sufficient rental places for just this reason. Kayaking and canoeing is a superb thingto do in Oahu if you want to get in touch with your natural surrounding, and there is no better place in the world than Oahu . When you want a different vantage point to view the Pacific Ocean or the surrounding lush tropical landscape then parasailing and paragliding is the perfect thing to do in Oahu. You will enjoy the added time on the water as you cruise to your launching point on a speed boat before you sent sail into the clear blue skies. Parasailing and paragliding allow you to experience the scenery below for 500 to 1000-feet in the air while you glide through the sky. You will receive an added adrenaline rush when you take-off into the blue sky and float along while you see such iconic scenery as Waikiki Beach, Diamond Head and Maunalua Bay as well as the beautiful skyline of Honolulu. If you are ready for that unique vantage point to view the surrounding scenery and a little bit of an adrenaline rush then you must try parasailing and paragliding when you are looking for cool things to do in Oahu. Whether you are certified scuba diver or someone who is just beginning, scuba diving is one of many visitors favorite thing to do in Oahu . You can scuba dive all around the Pacific Ocean which surrounds the islands and there is plenty of diversity from place to place. 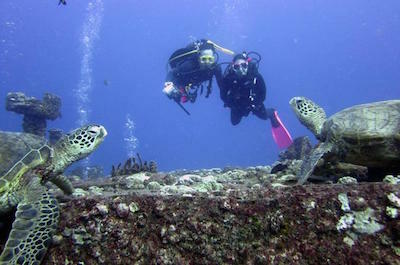 You can choose to go scuba diving on the South or West Shore and view shipwrecks hundreds of feet in the warm waters as well as the incredible coral reefs that house hundreds of tropical fish. You can go scuba diving almost everywhere in the Pacific Ocean and around Oahu there are gorgeous underwater treasures to be found at places like Kewalo Basin. You will be surprised at the variety for people who are certified scuba divers and there are introductory excursions as well as tours for people who just want to try to go scuba diving. Once you put on your equipment and enter the wonderful underwater world of the Pacific Ocean, you will be hooked on scuba diving forever. Snorkeling is the perfect thing to do in Oahu for everyone who likes to adventure in the warm waters of the Pacific Ocean. While you are snorkeling you will view the incredible underwater world of the coral reefs that are home to thousands of brightly colored fish and sea creatures. You will be amazed at the abundancy of animals swimming around you while you are snorkeling in Oahu. 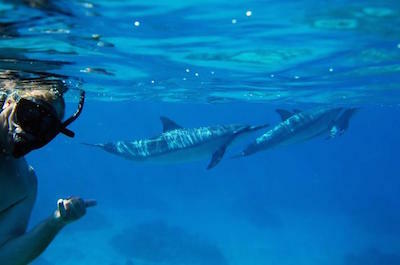 You can choose from a plethora of fun excursions that include snorkeling with dolphins, sea turtles and even sharks. There are options for all day sailing and snorkeling tours to going out on the water in a kayak to cruising to your snorkeling destination on a speed boat. You can determine how much time you want to spend snorkeling and you can visit fabulous places such as Hanauma Bay, Kailua Beach as well as Kane’ohe Bay. The variety of things to do in Oahu is great and there is sure to be one that fits your personality. One of the hottest new watersports in Oahu as well as around the world is stand up paddleboarding and when you are in Hawaii it is a great thing to do in Oahu. Stand up paddleboarding is an ideal treat for couples, families and singles who want to get out on the Pacific Ocean and learn a new watersport. Stand up paddleboarding is fun and adventurous as you paddle around the scenic bays around Oahu. You can choose from a variety of tours that offer lessons, excursions to secluded beaches and you do not have to worry about equipment because all the necessary items for you to have a fantastic day of stand up paddleboarding is included. The new craze for this watersport has also provided for some interesting excursions such as yoga and an illuminated stand up paddleboard which is perfect for night trips on the Pacific Ocean. When you travel to Oahu you have the opportunity for many things to do in Oahu and the most talked experience is learning how to surf or windsurf on the Pacific Ocean. Surfing has long been associated with the Hawaiian Islands and there are plenty of great instructors to show you how to carve the waves. Windsurfing is a popular sport on the islands with excellent trade winds that are consistent and give you the opportunity to have some fun on the ocean. When you decide to go surfing or windsurfing Oahu is the perfect place to learn. You can choose from a wide variety of excursions that will take you to best beaches and waves on the east and north coastline of the island. You have several options from a two-hour small group or private lesson to larger groups that offer personalized service. 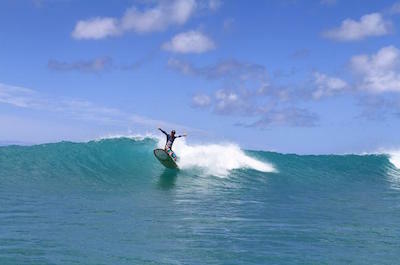 Whether you go to the North Shore or on Waikiki Beach you will be surprised on easy the instructors make surfing and windsurfing an exciting and easy thing to do in Oahu. Swimming with Dolphins has become one of the favorite things to do in Oahu for families. Swimming with Dolphins is an easy way to learn more about the fascinating marine life that encompasses 70% of our planet. Swimming with Dolphins is popular for many reasons including the wide range of packages available which families can fit into their traveling budget. While you are on Oahu you can visit the Sea Life Park where you can swim with dolphins in a protected lagoon as well as attend numerous educational programs. When you choose this option you can decide how much time you wish to spend in the water with these intelligent creatures of the sea. You can also decide to take a wonderful snorkeling trip on a large catamaran where you can swim with hundreds of colorful fish as well as sea turtles and the Hawaiian Spinner dolphin. No matter which you choose your family will be pleased with this awesome thing to do in Oahu!